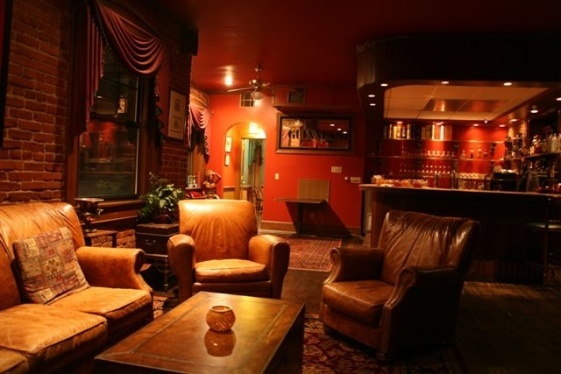 Named for legendary political boss Tom Pendergast, who used this room as a secondary office, The Pendergast Club is one of the most charming and unique private dining facilities in Kansas City. Located on the top floor of The Majestic Restaurant, The Pendergast Club is divided into three uniquely charming rooms. Your guest will appreciate the comfortable lounge complete with leather couches and a fully stocked bar. They can then convene in the dining room for dinner surrounded by memorabilia from Kansas City’s past. After dinner, the boardroom makes a great place for conversation. The wonderful view overlooking Broadway can only be matched by the classic boardroom table that dates back over 50 years. Steeped in Kansas City history, The Pendergast Club is a wonderful place to make memories your guests will cherish for a lifetime.